In the late 1800’s the Murray River was a thriving trade highway. Commercial paddle steamers made their way up and down the river transporting goods such as wheat, wool and household supplies. One such paddle steamer met with an untimely end when a fire aboard forced the vessel ashore where it was reduced to ashes. Among the wreckage strewn on the riverbank was a singed sign carrying the name of the boat – ‘The City of Oxford’. From that time on, this area was known as Oxford Landing. In 1958, South Australian entrepreneur and winemaking visionary Wyndham Hill Smith took a spade and sank it into the riverside dirt. He believed this place of fertile red soil and bountiful sunshine would be ideal for growing premium grape varieties, and Oxford Landing Estates was born. 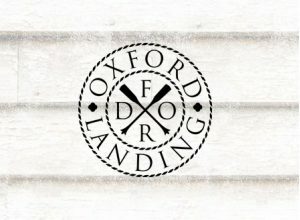 With 650 acres under vine, one could never call Oxford Landing small but they act like they are. They micro-manage 130 five-acre blocks as separate ecosystems so that they become intimately familiar with each block and can give the grapes exactly what they need to achieve optimum flavour.